Tub Parade 2015. 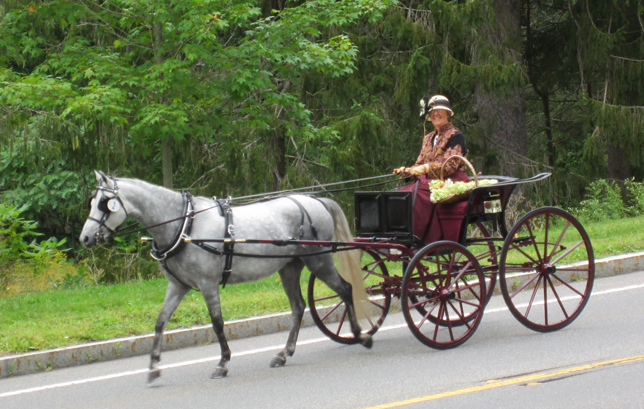 Ann Willey driving a Brewster Sailor Wagon pulled by a Welsh pony. Photo by Tjasa Sprague.